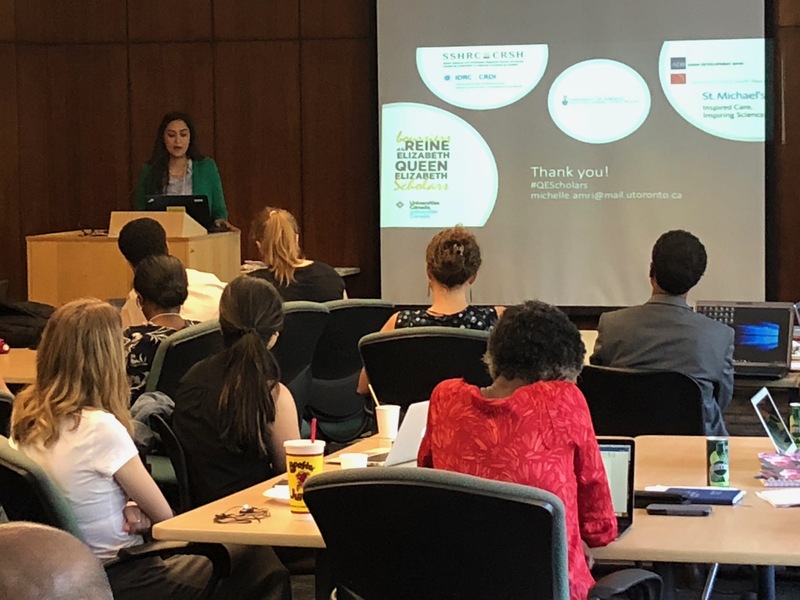 Earlier this summer, DLSPH’s Office of Global Public Health Education and Training in partnership with the Centre for Global Health Research hosted the first Queen Elizabeth Scholars-Statistical Alliance for Vital Events (QES-SAVE) Research Summer Institute. 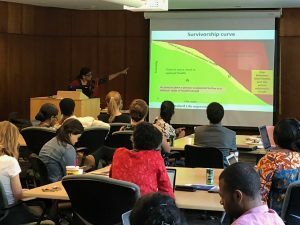 It brought together 44 global health scholars around a shared vision to leverage global evidence on causes of death to improve health and health systems, and make progress towards the Sustainable Development Goals. From June 25-29, Jabbi joined a community of learners from Canada, Ethiopia, Sierra Leone, Mozambique and India to receive training in mortality data collection and analysis to inform health policies, programs and practices. 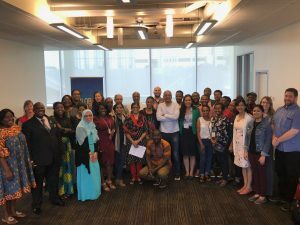 The Institute also included a series of provocative global health talks, hands-on software tutorials and research project development seminars designed to train six Queen Elizabeth Advanced Scholars Advanced Scholars (QES-AS) to tackle research projects in health information systems. 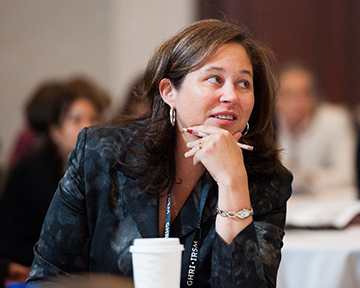 “You can’t measure progress without robust national health information systems. Collecting and analyzing mortality data is vital to improve the public’s health, and information systems are critical to measuring health outcomes and identifying problems when they arise,” said Erica Di Ruggiero, Director of the Office of Global Public Health Education and Training who led the QES-SAVE program with Professor Prabhat Jha. Jabbi decided to pursue the QES-AS program to enhance his leadership of Sierra Leone’s Countrywide Mortality Surveillance for Action project, a massive national initiative to establish a mortality data system to support health programs, policy decision-making and resource allocation. “We know that Sierra Leone has some of the highest maternal and child mortality rates in the world. 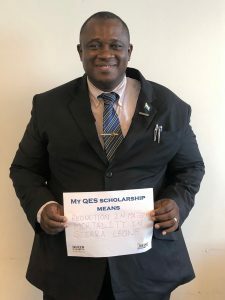 The knowledge I gained will play a critical role in improving our knowledge base in Sierra Leone,” said Jabbi, one of six QES Advanced Scholars. The QES Advanced Scholars worked closely with mentors — experts in epidemiology, demography, health systems and other relevant areas — to develop learning and research plans that address a health system issue in a low-or-middle-income country. 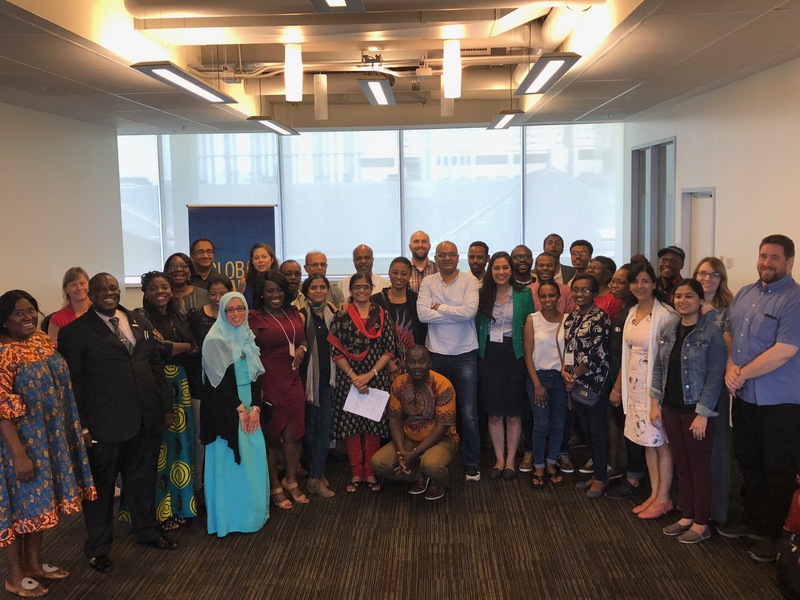 On the final day of the Institute, scholars presented their research projects to a panel of experts, including the deputy chief coroner of Ontario, representatives from Statistics Canada and the International Development Research Centre, and DLSPH PhD candidate Christopher Tait. 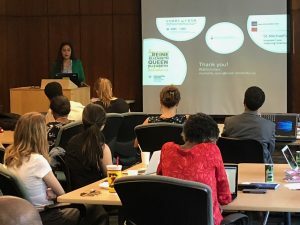 “The Institute taught me to be critical of data sources, even well-published ones, and how to present tangible results for governments and funders so that they can use it to shape urban health initiatives. 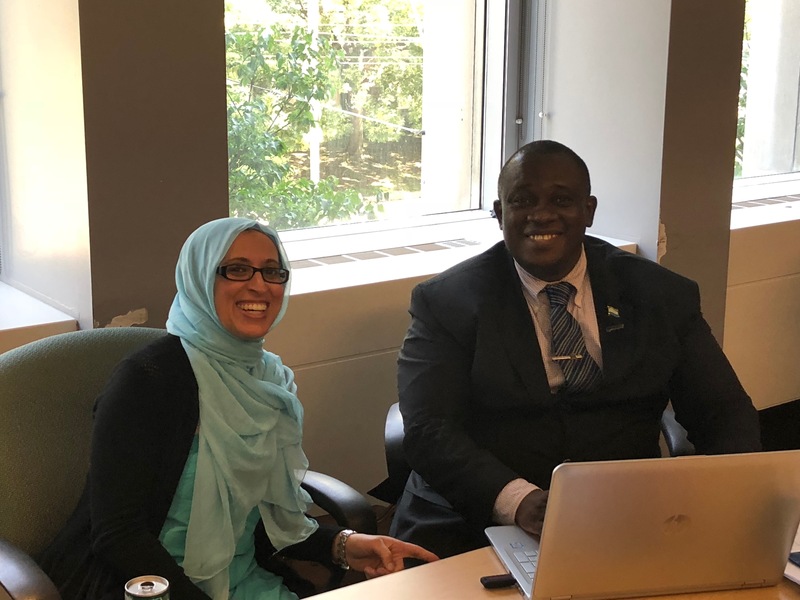 These skills ultimately lead to the improvement of health and well-being for communities worldwide, some of which are among the world’s most marginalized” said Michelle Amri, PhD candidate at DLSPH and QES Advanced Scholar. Amri is working with her mentor Professor Jha on a global urban health research initiative in which she’s part of a team reporting research results to the Asian Development Bank to shed light on the complexities and challenges in addressing urban health issues in Bangladesh and India. 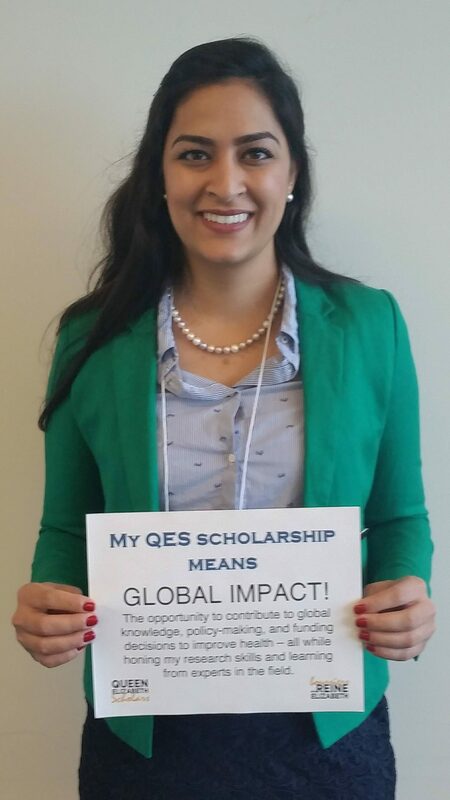 To close the Institute, Professor Ted Sargent, U of T’s Vice-President, International, reminded QES-SAVE participants why their work matters and the potential global impact. “Through research capacity building efforts like these and your dedication to generating meaningful data that influences policy, we can close the global mortality divide and help meet the Sustainable Development Goals by 2030,” he said. Images clockwise from top left: Summer Institute participants; Sonnia-Magba Bu-Buakei Jabbi, Geetha R. Menon and Michelle Amri.